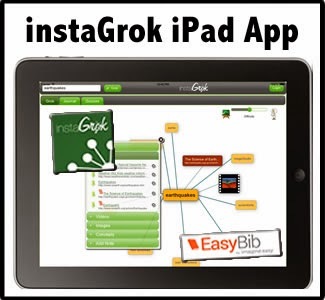 Are you looking for ways to leverage the power of technology to maximize student learning? 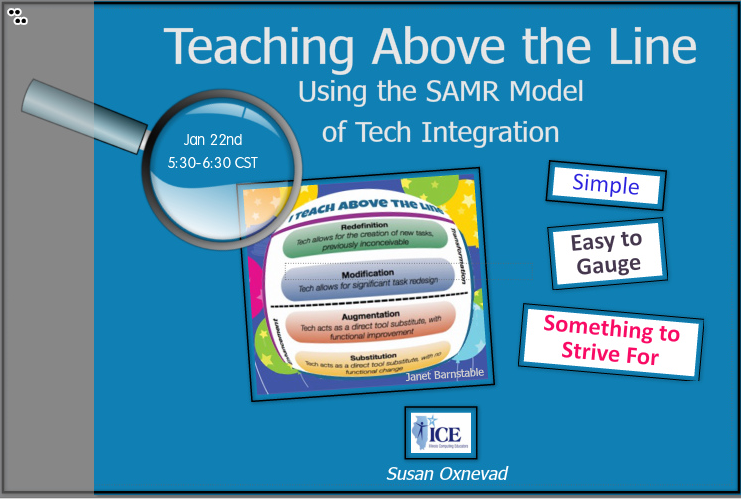 Researchers have determined that technology integration typically moves through four specific levels: Substitution, Augmentation, Modification, and Redefinition (SAMR) The higher the level of an activity the greater the educational benefit. 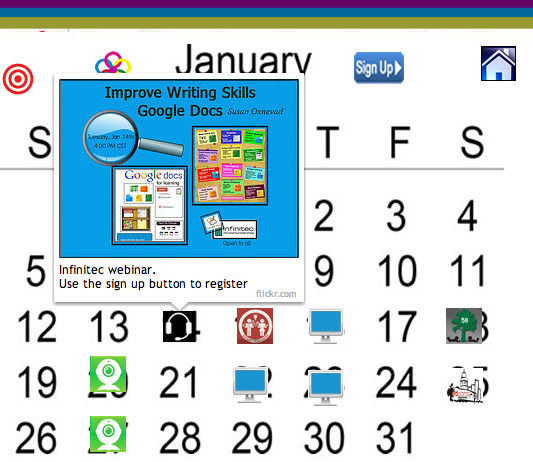 This live, online event will be held Wednesday, January 22, 2014, from 5:30-6:30 pm. FREE for ICE members, but you must register to receive link and instructions to access session online. 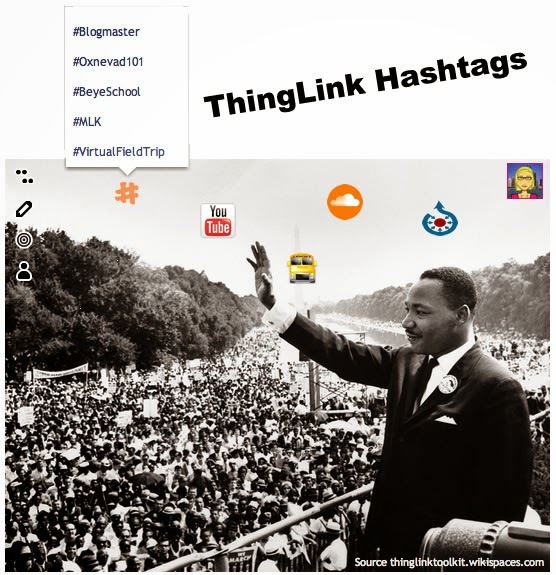 ThingLink hashtags provide teachers and students with a way to easily organize ThingLink content within a safe learning environment. 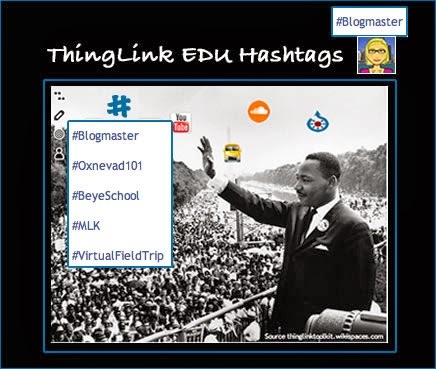 ThingLink hashtags are handy searchable smart phrases that can be used to accomplish some important classroom tasks. Are you looking for a free and user friendly digital tool to help you create engaging, student-centered learning experiences to meet the diverse learning needs of the students in your classroom? In this webinar,we will explore ThingLink, a digital tool that provides users with the ability to turn any image into a multimedia rich interactive graphic. 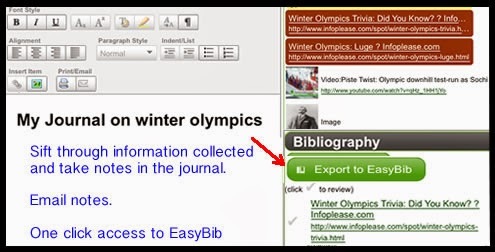 Add video, images, audio, and links to any content on the Web with the click of a button. This amazing tool allows users to pack a lot of content into a small space. 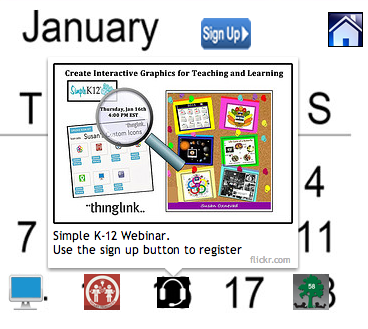 Join me and Simple K12 as we explore inspiring examples and easy-to-follow instructions to help you add ThingLink to your digital toolkit of resources.